If your home ready for some deck renovation? If so, you might be ready for epoxy decking systems. 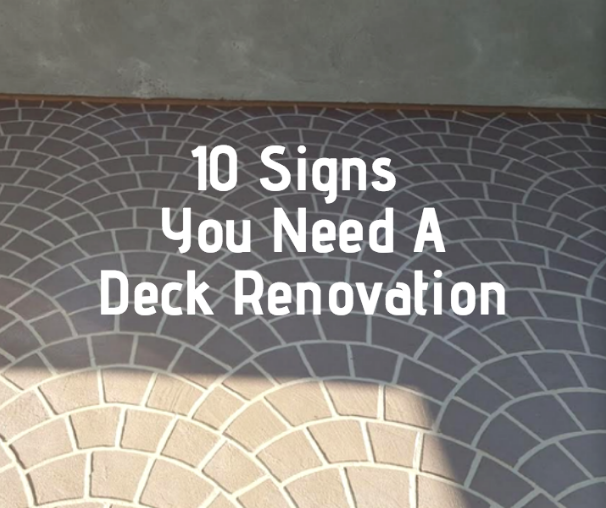 Here are some signs you need a deck renovation. Your railings shake when you grab onto them. Have you noticed when you lean on your railings they give a little or even shake? Eventually, if your railings are fastened with nails, they will become loose, causing a serious safety hazard, especially for the young children and the elderly. Deck boards wobble when you walk on them. Do you find that your deck gives a little when you walk on it? It may feel like you’ll fall through at any moment. As wooden boards become older, they may become warped. As the boards warp, the often loosen themselves or become unfastened making for an unsafe deck. You’ve spotted rot or water damage to the wood. If you find there is a spongy quality to a wooden board, it is likely that there are is wood rot. If there is wood rot on one spot, it may be necessary to replace the surround area as well as rot can spread quickly. There is obvious damage to the wood. Over time, wood can be damaged by a variety of things such as the elements, termites and even normal wear and tear. If you see cracks in the wood, holes, or even broken boards, it’s time for renovations. Your fixtures and fittings are rusted. 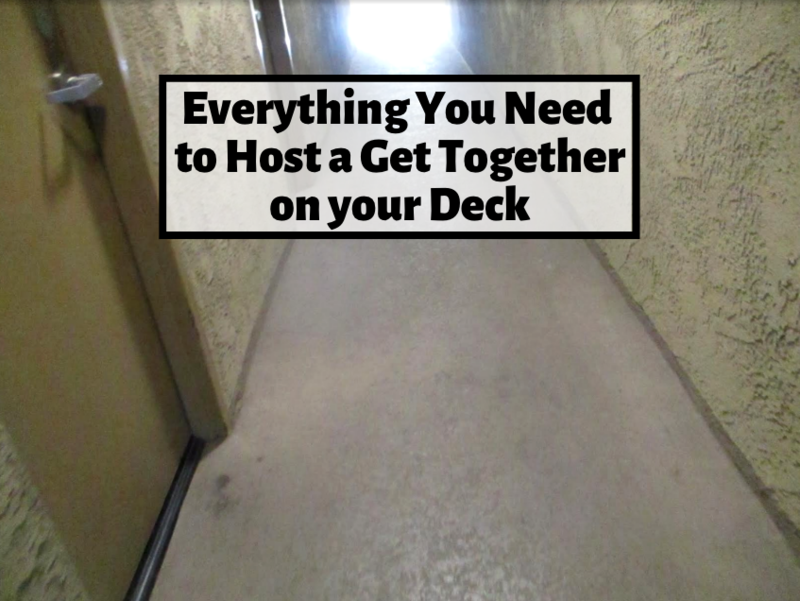 If you look underneath your deck, you’ll find fixtures and fittings, which are responsible for holding together the various parts of the deck. These fixtures however, can be weakened from age and elements. If they become rusty, it will weaken the overall structural stability of the entire deck. There is mold and mildew growing. 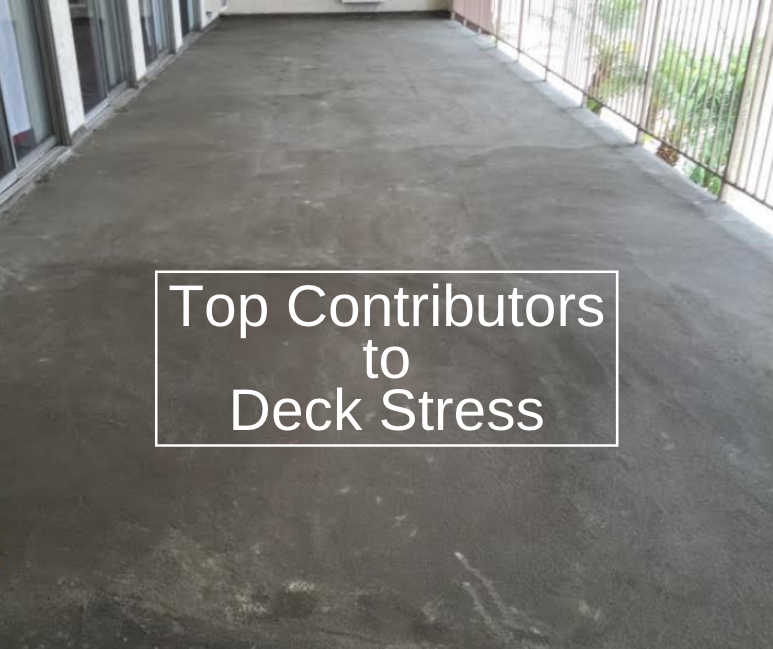 While small amounts of greenish mold may naturally occur due to being exposed to moisture, this does not usually affect the overall integrity of your deck. However, if you see fungal growths or even mushroom like mold forming, this is a more serious problem that must be addressed. You’ve noticed some leaks. 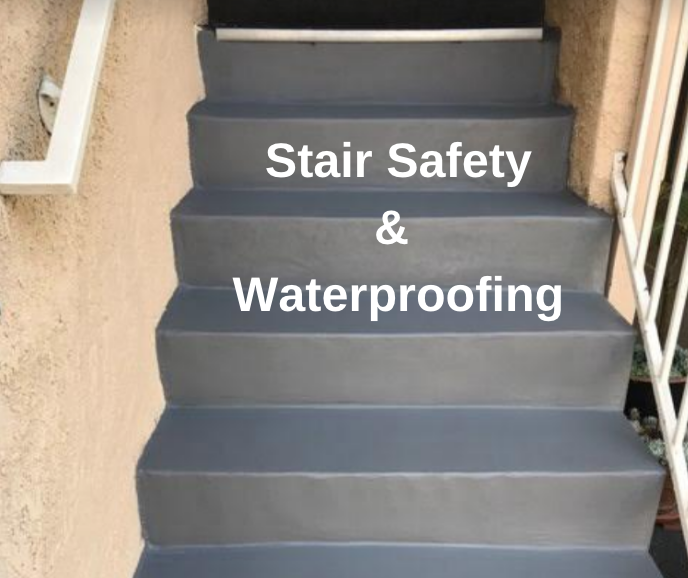 Maybe there was a bout of rain or maybe someone spilled some liquid on your deck, but either way, you’ve noticed that when there’s liquid, there’s leaks. Leaks will lead to eventual water damage and water spots. Your deck has become faded and stained. 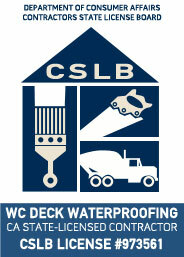 Over decks, there are usually sealants that protect it from UV exposure. Over time, the seals wear off leading to faded wood panels as well as the possibility for stains as sealants protect it from dirt and other stains. Your deck has been around for a while. An average deck will last anywhere from 10 to 25 years, depending on the quality of the materials and how well it has been maintained throughout the years. Given that it comes from wood though, it will eventually need repairs no matter how well its been maintaining. It’s spring or fall. Even if your deck doesn’t have any obvious signs of damage, if its the spring or fall, it’s a good time to try and get contractors out to your home as summer months are the busiest and most expensive times to do work on your deck.